These unique hanging chairs are available in Light Bonano and compliment the Auckland dining and lounging ranges perfectly. Their contemporary design is both appealing to the eye and practical. The chair is made from a 6mm Tisse round core tightly woven over an aluminium frame. The support stand is black powder coated steel with stainless steel springs. 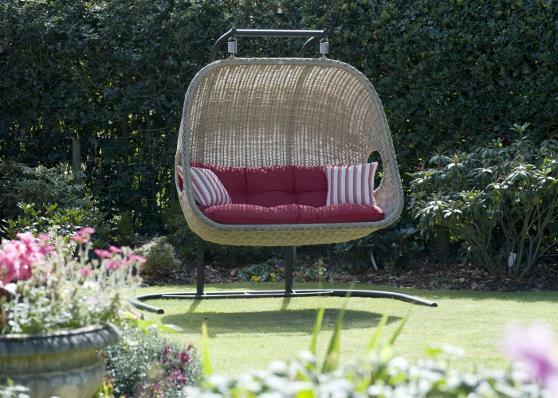 the cushions are specifically made for the baskets and to ensure long lasting comfort.